Every week in assembly the children are shown a photograph with a 'Big Question'. 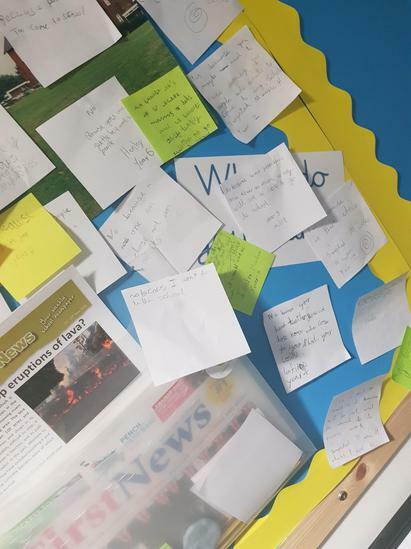 The question encourages discussion and children being given the opportunity to voice their own opinions. Sometimes we use videos linked to the question and different scenarios. The teachers then discuss the question in class and it is adapted to suit each Key Stage and year group. In achievement assembly the children are again asked the question and they give examples of what they have spoken about and if their opinion has changed/stayed the same and why. 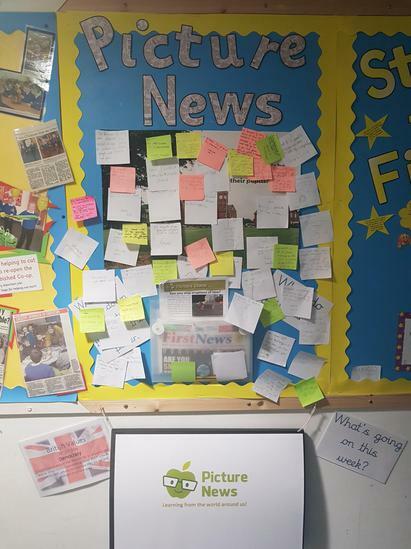 Picture News compliments our Personal, Social and Emotional education and also links directly to British Values. 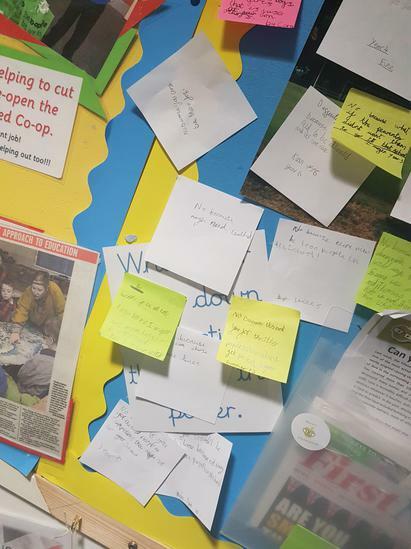 All children at Distington Community School are encouraged to have a voice. Picture News allows us to provide depth to our rich currlculum. 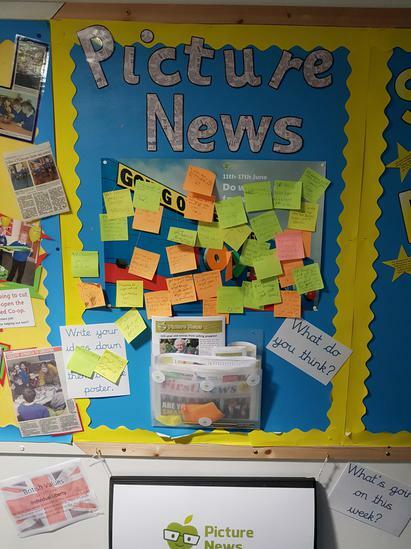 See below for examples of our Picture News display and pupil responses.